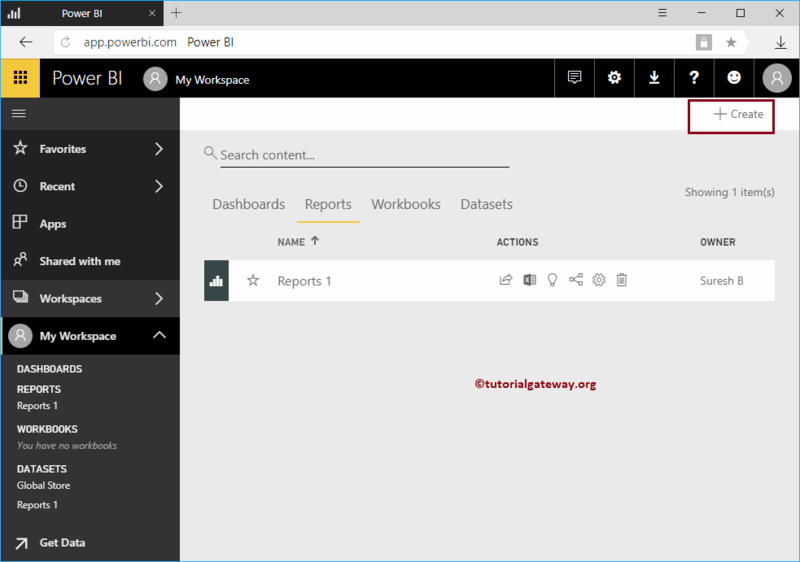 In this article, we will show you, How to create a report in Power BI Workspace with practical example. Before we start creating a report, let me show you the existing reports in my Power BI workspace. 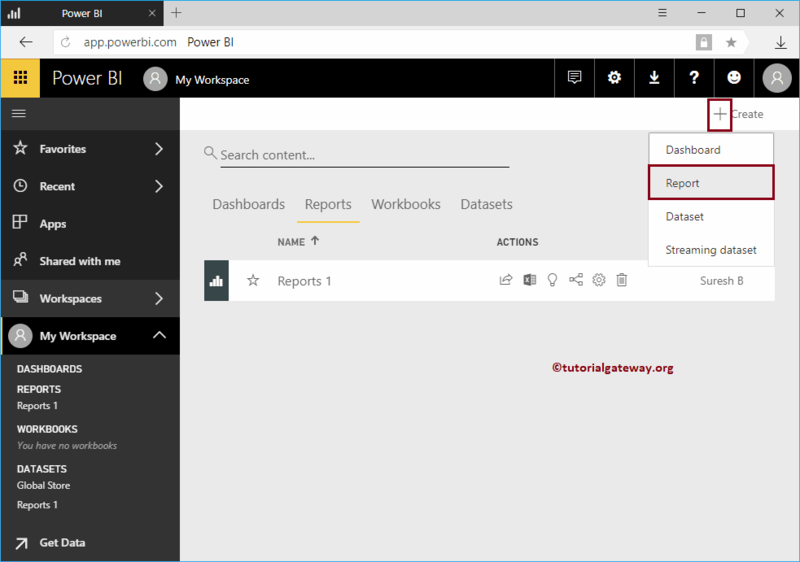 To view them, please click on the Power BI My Workspace, and then go to the Reports tab. As you can see from the below screenshot, currently there is only one report in my workspace. 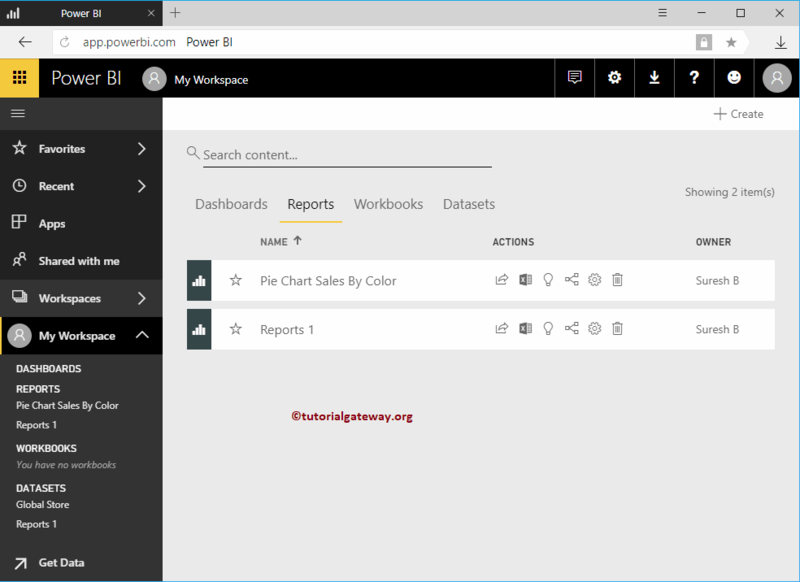 You have to use the + Create button on the top right corner for creating a report inside your workspace. 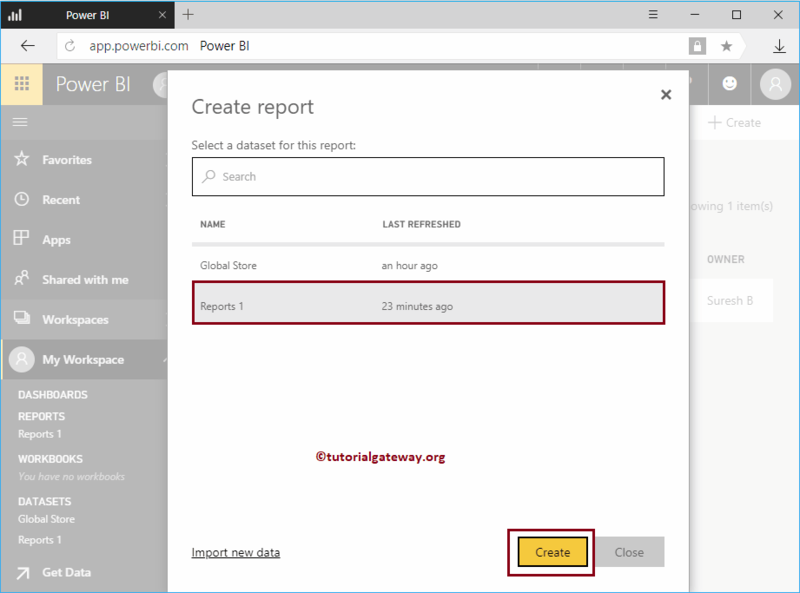 In order to create a new Power BI report, click the Create Button and then select Report option from the context menu. 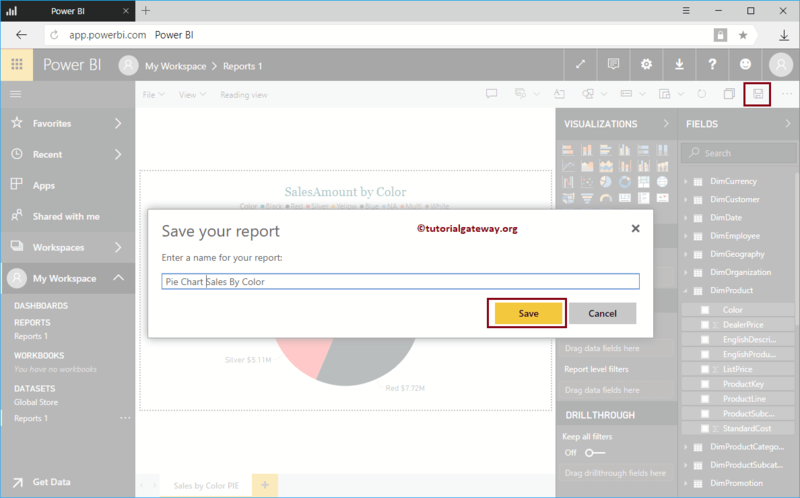 Selecting the Report option will open a new window called Create report. 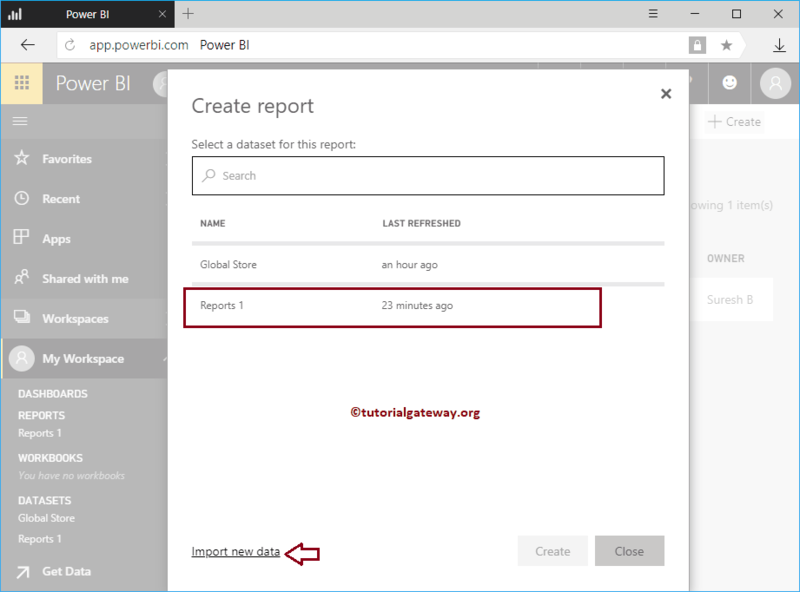 Here, you have to select the dataset that you want to use for this report. 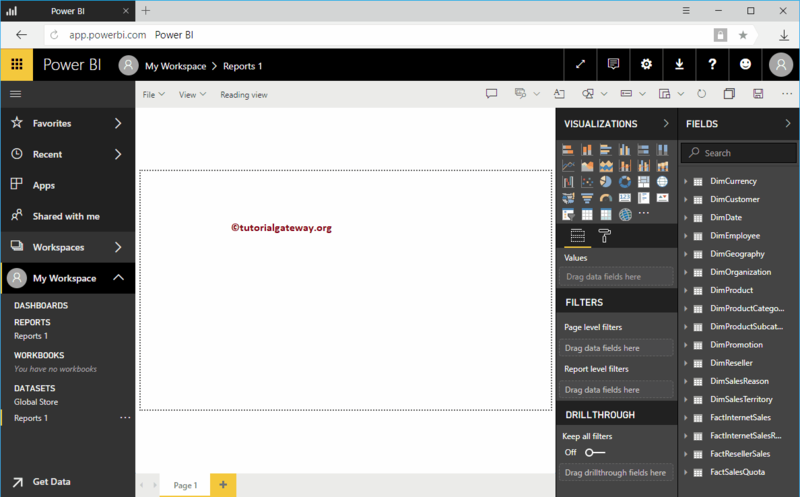 Clicking the Create button will open the following window. 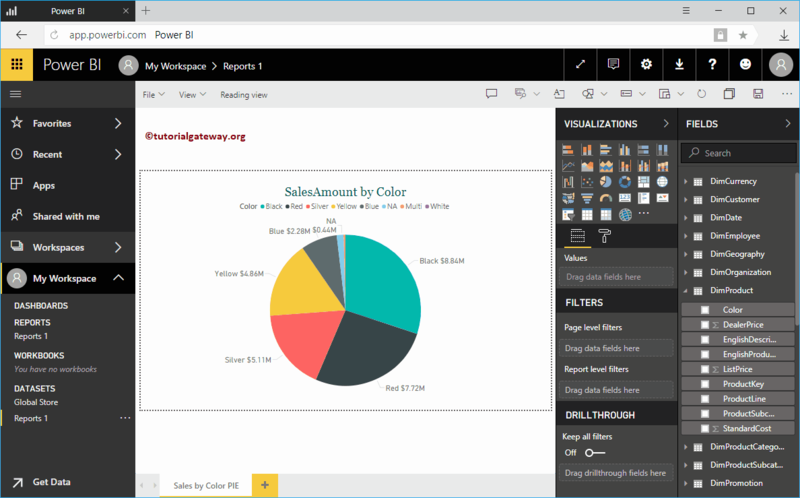 Here, you can create your own visual.